Properties in Portugal by the sea ... No, the ocean - is no longer an impossible dream!!! What could be more fascinating than the boundless sea? Unless it's the blue expanse of the ocean…And once you experienced such feelings, you cannot take your eyes off the water... So - it is not surprising that many people, who have at least once been on the Atlantic coast in Portugal, seek to come back here again and again. For those who have or are planning to buy properties in Portugal is easy to do so, because the local market prices are now more than available. It should be noted that Portugal is picturesque, sunny and welcoming European country. 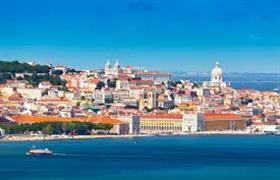 Portugal recently has become a favorite vacation spot for many of our nationals. After all, here you can feel yourself truly a pioneer. At the same time, having your own house, flat or apartment in Portugal, make you feel like home! It is not possible to get acquainted with this amazing country in a single week. In order to learn at least some of its ancient history, or to visit at least one national park or nature reserve, you’ll have to stay here for at least a month! Property owners in Portugal can do it always - at any time of the year. After all, all they need is to buy a plane ticket! Moreover, they can issue multiple entry visas for themselves and their family members! Planning to buy a home in Portugal as a primary house? Easily! We can talk endlessly on the beauty of Portugal, on its capital, Lisbon, as well as on the picturesque beach resorts of the Algarve. There are many things that attract our nationals to this country. Buyers of houses and apartments in Portugal easily get automatic residency in this country! After all, Portugal adopted the Visa Gold program and its doors are open to many potential real estate investors, among which can easily be you!